You'll be £19.99 closer to your next £10.00 credit when you purchase The Challenge of K2. What's this? K2 is one of the most demanding mountaineering challenges in the world and one of the most treacherous – K2 is a legend. Extreme, unpredictable weather and the acutely difficult climbing conditions test the technique, endurance and psychological strength of the most experienced mountaineers to the limit – and often beyond. Many of the men and women who have sought to reach the summit have failed, often with tragic consequences - over 70 of them have died or disappeared. Yet this, the second highest mountain on Earth, continues to exercise for the world's top mountaineers a special – all too often lethal – attraction, and this is the subject of Richard Sale's fascinating new book. 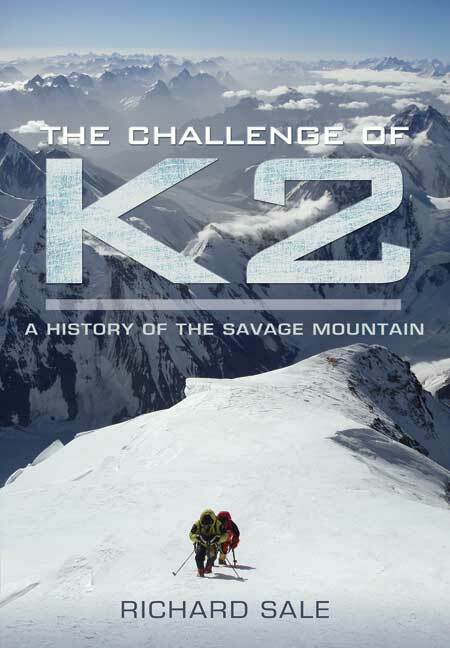 As he traces the climbing history of K2 over the last 150 years, he shows in graphic detail how it acquired this awesome reputation: it was during the first serious attempts on the summit in the 1930s and 1950s that K2 became known as the Savage Mountain. A highly detailed account of the complex and often deadly history of climbing on the 'Savage Mountain' from the mid 19th Century up until 2011. Dr Richard Sale is a theoretical physicist, a mountaineer and an expert on the history and ecology of the Artic. He has travelled extensively in the Arctic, Antarctica and the Himalayas, and is a prolific author. His many books include On Top of the World, To the Ends of the Earth and The Arctic: The Complete Story.